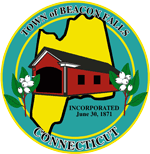 Thank you for your interest in Beacon Falls! Sadie Colcord, Economic Development Coordinator, will be in touch shortly to discuss your needs. In the meantime, please download our catalog of available properties and developable sites.